Beit Hatfutsot, The Museum of the Jewish People, was a stop I made while on a recent trip with my family to Israel. The museum, which is on the campus of Tel Aviv University, has a relatively new and kid-friendly exhibit titled "Heroes — Trailblazers of the Jewish People." What's relevant for the FutureOfCapitalism audience is that among the heroes portrayed there are Milton Friedman, the Nobel Prize winning University of Chicago economist who advocated school choice, lower taxes, and less regulation, and Ayn Rand, the novelist who also was an advocate of the individual against the state. 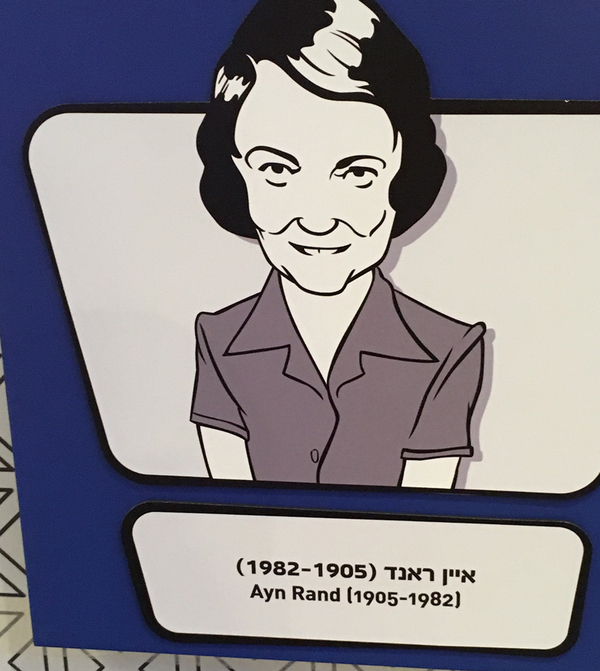 Ayn Rand as pictured in the "Heroes" exhibit at Beit Hatfusot, The Museum of the Jewish People. 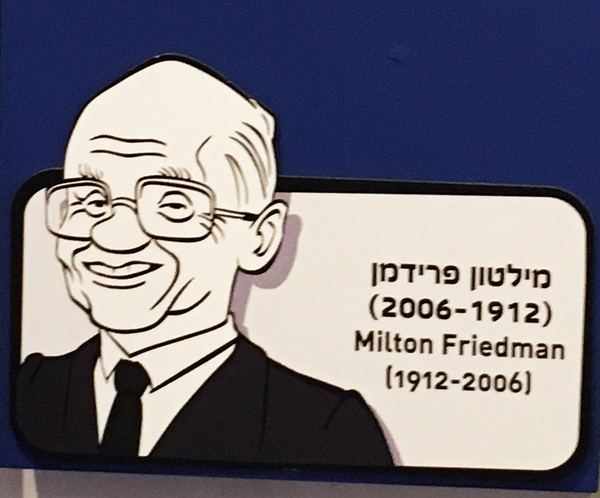 Milton Friedman as pictured in the "Heroes" exhibit at Beit Hatfutsot, The Museum of the Jewish People. Both Friedman and Rand had relationships with Judaism that were complicated and at times strained or attenuated, and plenty of Jews disagreed with them. So I thought it was interesting that for the purposes of this particular exhibit they were included, without any defensiveness or apologies, on the list of heroes, right there with Einstein, Herzl, and Maimonides.